HMD Global is showing no sign of relenting in the Android smartphone ecosystem. 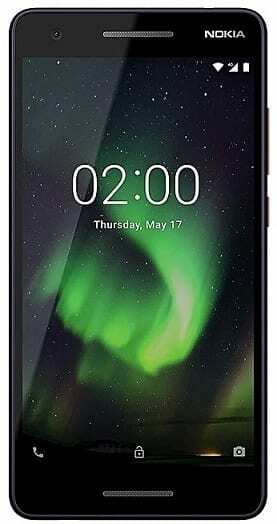 The Finnish company has done well to release several smartphones suited to different classes of pocket size. One of the latest from the brand is the Nokia 3.1. 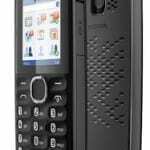 This smartphone is an upgrade to the Nokia 3 released in the year 2017. One of the key improvements in the Nokia 3.1 is the inclusion of Android One, an improved version of the Android Oreo OS. As the story’s still hot on our lips, let’s find out more about the device. Nokia 3.1 got shaped by an aluminium frame although it has a plastic covering. Sleekness serves as one of the selling points of the device thanks to the 138.3g weight. The smartphone’s front camera is positioned at the top bezel alongside proximity sensor, ambient light sensor and the Nokia logo. The Nokia logo also appears at the rear’s central region. Meanwhile, the back camera is at the top region together with its flash support. Well, a not-so-large 5.2-inch IPS screen brings out the media content of the smartphone. The display has a resolution of 720 x 1440 pixels and 310 ppi pixel density. Protective duties are delivered by Corning Gorilla Glass of an unspecified version. Then, there’s also the 18:9 aspect ratio and 69.4% screen-to-body ratio that makes sure the phone’s display is well presented. A single 13MP shooter with f/2.0 aperture takes on the full role of photography from the smartphone’s rear. This shooter uses a LED flash to brighten up the scene in low light conditions. Selfies are beautifully shot by the 8MP front camera. Although the camera lacks flash, a f/2.0 aperture does well to control the image capturing mode. The performance of the Nokia 3.1 is quite okay in the battery section. The phone can last for 18 hours talk time on 3G, and 84 hours playing music. This can’t be said if the non-removable Li-Ion 2,990mAh battery is absent. 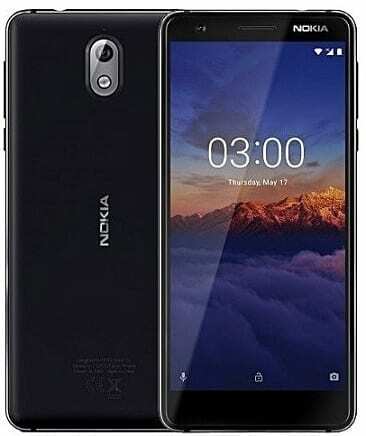 The software running on the Nokia 3.1 is the stock Android Oreo OS (Android One). The slickness of multitasking operations is handled by either a 2GB or 3GB RAM. Also, the internal storage has iterations of 16GB and 32GB for file storage. Be as it may, a microSD card can be used to increase the storage to 256GB. Graphics on the device is in the hands of by the Mali-T860 MP2 GPU. The functioning processor on the smartphone is the Octa-core Cortex-A53 that clocks at 1.5GHz. Lastly, the MediaTek MT6750 chipset oversees the core activities on this smartphone. Nokia 3.1 is available in colours Blue/Copper, Black/Chrome, White/Iron. You can buy at leading online stores and retail outlets. 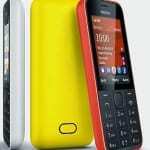 Nokia 3.1 price in Nigeria ranges from 45,000 Naira to 55,000 Naira in retail outlets depending on your location.